Put the CD or DVD in the CD drive of your computer. Assuming it is using a windows operating system, open ‘my computer’ and double click on the CD drive. You can then click and drag the photos into the new folder you have created. You can also right click on the photos and select “copy”, then right click on the folder and select “paste”. The computer should then automatically copy the picture into the folder. Right-click on the photo file name and select “Save Image As.” You may also right-click on the actual photo or, in some email programs, you can just click on a link that says “download”. Select the folder you created as the target location for the download in the window that appears. You may also want to specify a file name by typing a name in the open field. Be sure to keep the extension the same. If the file has the extension “.jpg,” be sure to save the file as “FILENAME.jpg” where FILENAME is the name you gave the image. Select “Save.” Your image will be transferred from your email to your folder. If you want to do this for multiple pictures, just repeat the steps for each picture. When you got the troubles of disc loss or damage or the space of physical hard disk is low, you can ripping DVDs to cloud lets you upload a personal DVD to the cloud (Google Drive, Dropbox, OneDrive, iCloud, Seagate personal cloud media storage and Box etc.) enable you can share DVD Movies with your family members or access your movies at home or on the road. Note: If you are a Mac user, please turn to DVDAid for Mac, support Mac OS X El Capitan, Yosemite 10.10, 10.9 Mavericks, 10.8 Mountain Lion, 10.7 Lion, Snow Leopard10.6, Leopard 10.5. Now download the right version of the program and follow the guide below. 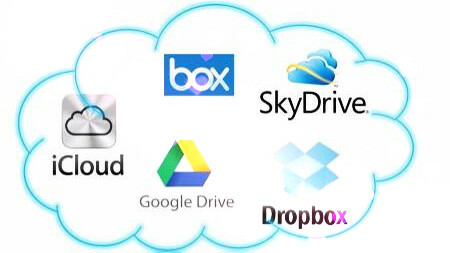 Learning >> Step-by-step guide on Backup DVD to Dropbox, OneDrive, Google Drive, etc.